The November issue of Square Enix's Monthly Shonen Gangan magazine is confirming on Saturday that Masahiro Totsuka and Neko Sutajio's Bamboo Blade B manga will end in the next issue on November 12. 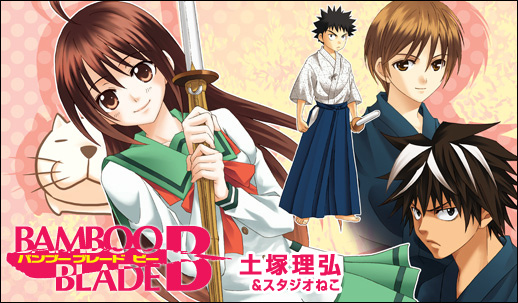 Bamboo Blade B launched in 2009 as a spinoff of Totsuka and Aguri Igarashi's original Bamboo Blade manga. Story:The story follows Yū Ōkido, a tall, self-conscious middle-school girl who once practiced kendō (Japanese swordsmanship) in elementary school. The 11th volume of Bamboo Blade B shipped in Japan in May.